“West Point in Watercolor” is an art print I am featuring from my Lighthouse/Nautical Gallery. The print is done using a subtle watercolor technique of a lighthouse. This style creates a soft casual look keeping the focal point on the lighthouse itself. I wanted to present a print that helps you feel the gentle warm breeze coming off of the water, rustling through the grass as you approach the building. The setting for this particular print is the West Point Lighthouse that sits on a piece of land that juts out into the Puget Sound. This point marks the northern end of Elliot Bay, which is the body of water that downtown Seattle sits on as part of the waterways around the Puget Sound. Thoughts? I invite you into the Lighthouse/Nautical Gallery to view additional art prints. 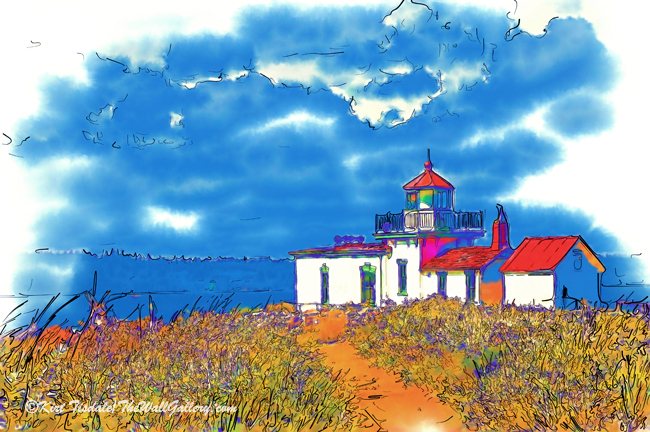 This entry was posted in Art, Art Prints, Landscapes: Watercolor and tagged art gallery, artist kirt tisdale, interior design, lighthouse, online art gallery, puget sound, seattle, watercolor art, West Point Lighthouse on January 31, 2015 by Kirt D Tisdale. Todays post is what I call a “fun” post…nothing deep, nothing earth shattering. If you’re not a football fan, I am going to lose you right here…. unless you like architecture. 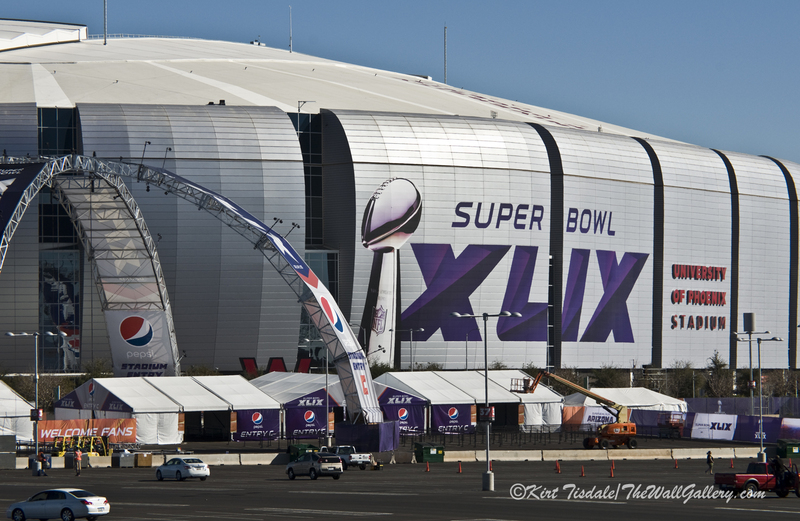 It’s no secret that I live in the Phoenix area and that the Super Bowl is here this year, along with the Pro Bowl that was played last Sunday night. 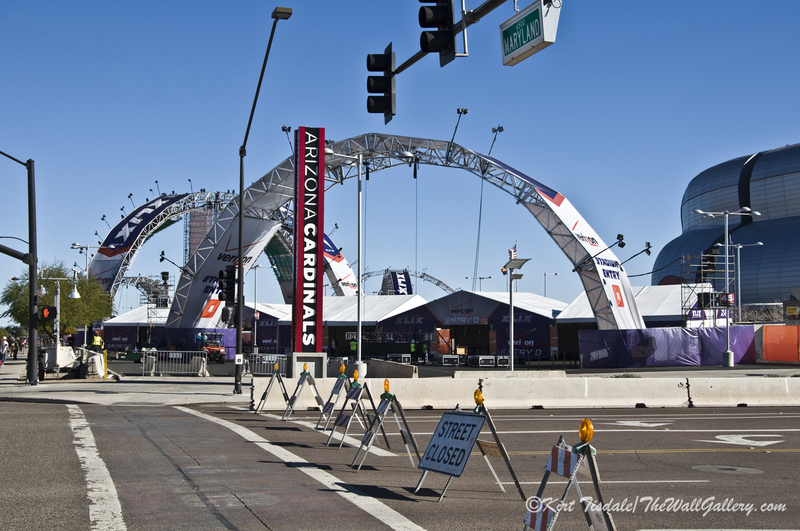 In honor of all the activity and festivities going on in the valley here, I thought I would include a series of shots I took last Saturday of the University of Phoenix Stadium as it was getting the final touches for both games. It wasn’t an intentional photo shoot, as we were actually headed to a hot air balloon festival (shots from that next week). We were driving by the stadium in Glendale and decided to stop at one of the restaurants in the Westgate Entertainment District, which sits right across the street from the football stadium. The entire area was hopping with activity as you can imagine. 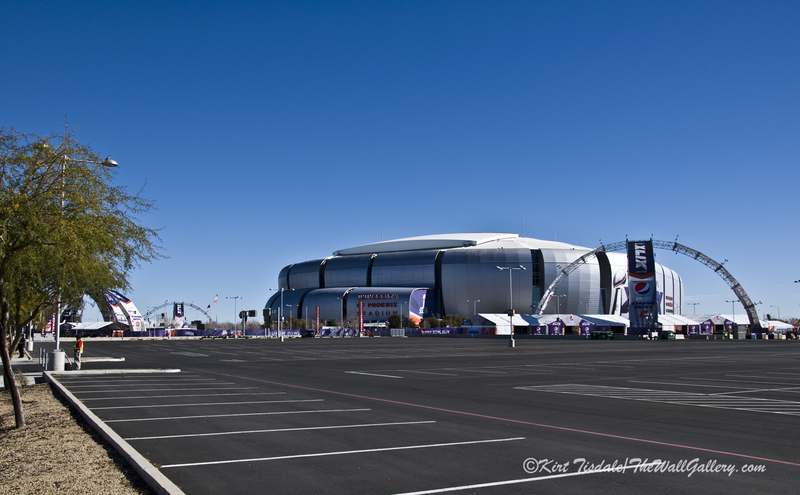 The Gila River Arena, which is home of the Phoenix Coyotes Hockey Team is also part of this complex. (Do I have non-football folks interested again?) 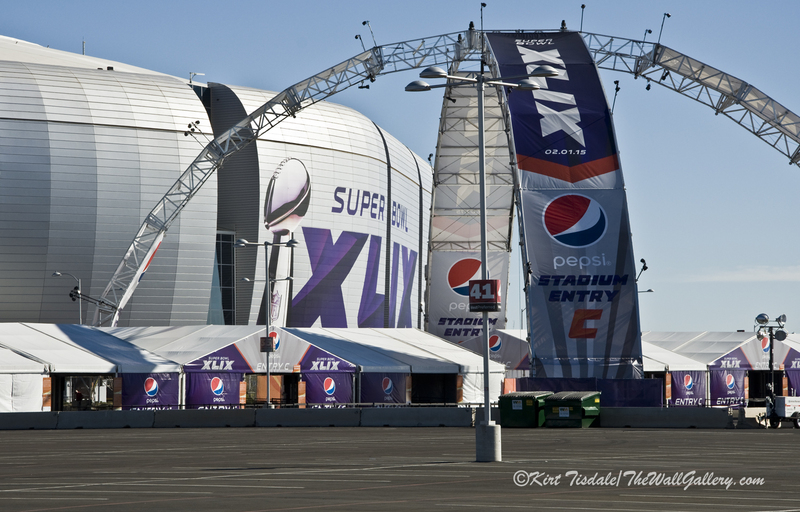 The entire area is very pedestrian friendly and since I have never had the good fortune to be that close to a stadium that was getting decked out for a Super Bowl, we walked over to it so I could grab some shots! It’s a massive stadium and takes over the landscape. I remember when it was first built and I happen to be flying through Phoenix from San Diego to Washington, DC on business. As we descended into the metropolitan area, I noticed this huge dome building off in the distance. What an impressive site due to its shear size. It opened in August of 2006 after 3 years of construction. Unlike any other stadium in North America, it has a retractable roof and field. 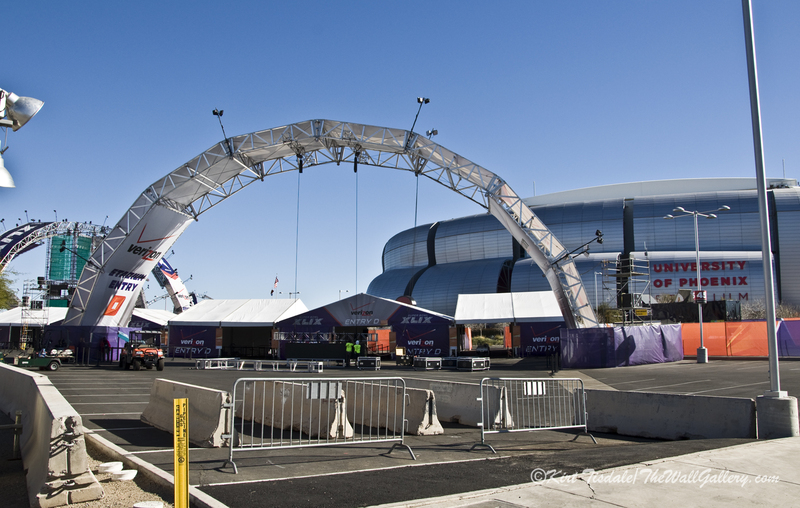 The seating capacity expands to over 72,000 seats and is home to the National Football League’s Arizona Cardinals and the annual college football Fiesta Bowl. Notice the “skin” of the building. It lights up at night for these games. I saw it on TV watching the pro bowl….very colorful. These arches also light up at night with bright pulsating colors. The amount of work that goes into preparing a site like this is incredible. There were tons of workers in the complex putting the finishing touches on. Security was being tightened up with these concrete barriers being moved into place. I also had security approach me as I was apparently walking across an empty parking lot that was not to be walked on….what I don’t try for the “shot”. So there you have it…just a “fun” photo shoot of an amazing structure!! I have also made it through the blog without voicing an opinion on who I am rooting for. You have to realize, my wife and I both take football very seriously and have raised our girls to appreciate the sport (yes, we have even been in Fantasy Football for years…. OK, I have only won once and maybe I ended up in the basement this year….). All of that said, we seem to have lived in cities that have NFL Teams (Denver, San Diego, Seattle and now Phoenix). In each city, we have been loyal fans win or lose. It does get tough when these teams play each other. I’ll just leave it there….thoughts? 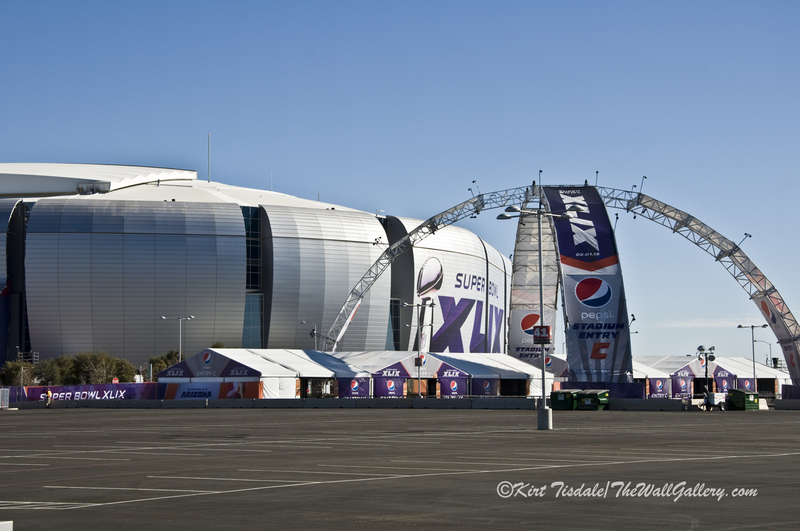 This entry was posted in Color Photography, Photography and tagged art prints, football, kirt tisdale, phoenix, photographer, photography, stadium, super bowl, university of phoenix stadium on January 28, 2015 by Kirt D Tisdale. 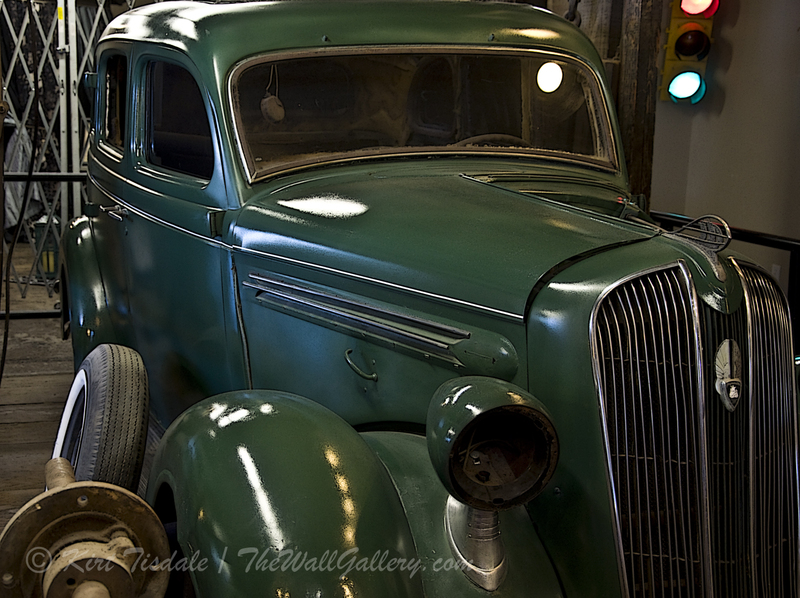 The shots I am attaching today actually tie into two prior blog posts. Last weeks post titled Phoenix Trotting Park is a result of the work I did on todays post and todays post is a result of a photo shoot I shared last October titled: Architectural Elements. So let me back up to the October post. 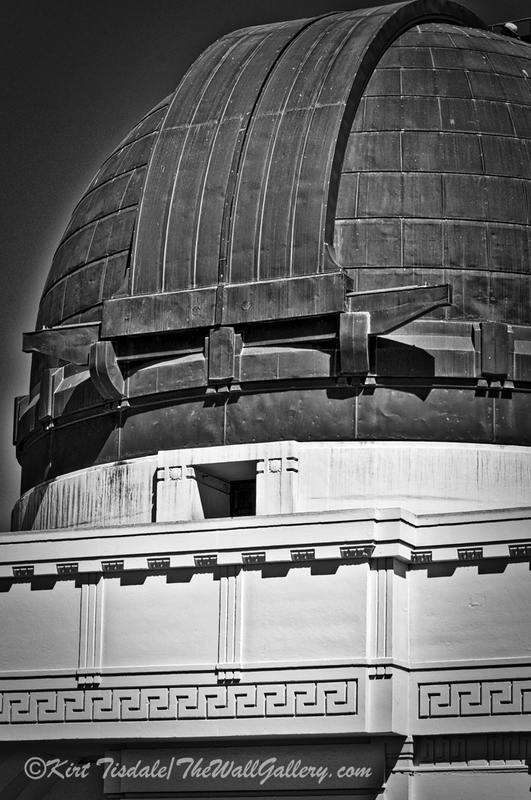 That post was about a series of shots I took of the Griffith Park Observatory last fall that focused on the architectural element of the observatory. I love the details of this art deco building. 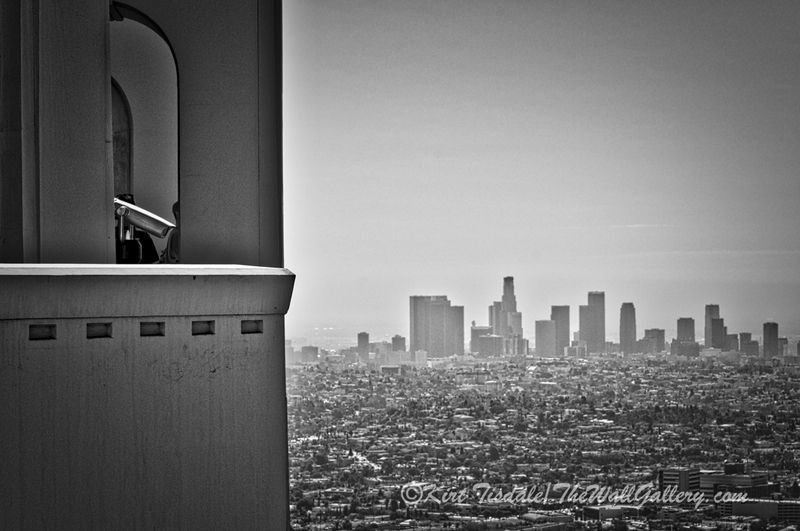 The observatory came up again in a conversation I had with someone in Los Angeles towards the end of last year. 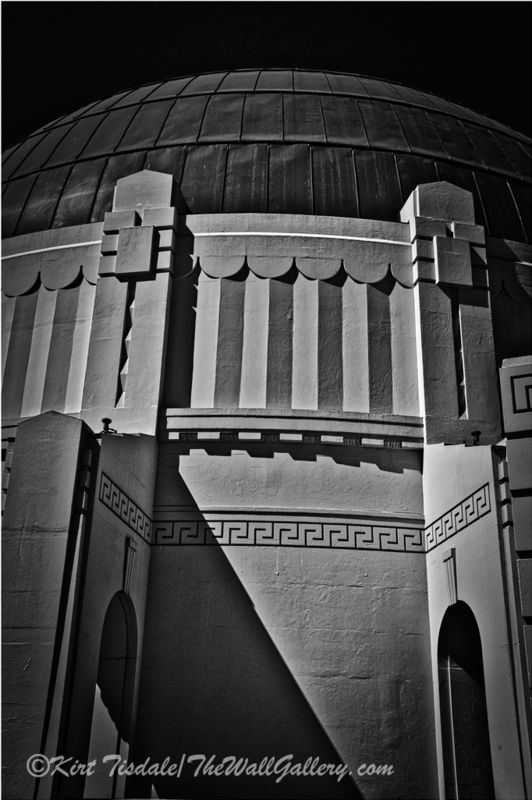 They were looking for some black and white prints for one of their rooms and specifically wanted shots of the observatory. 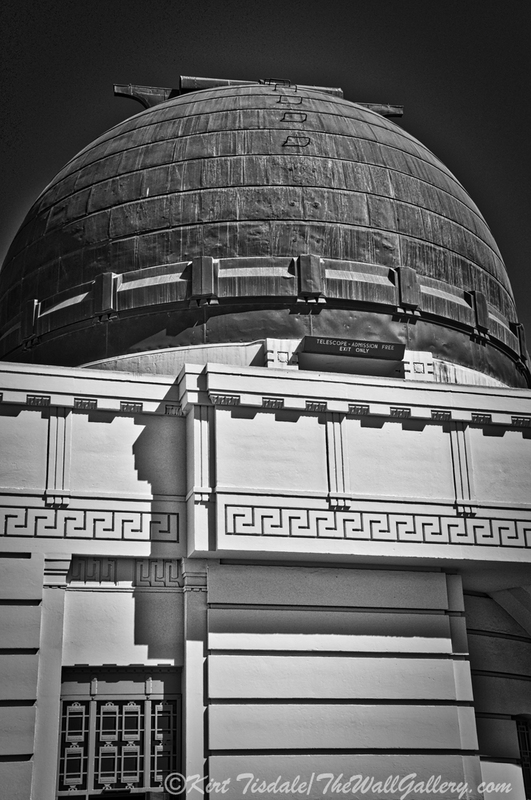 They also love the art deco look of the building and thought shots in black and white would give it a retro look. That’s all it took for me to get rolling. I played with a number of the shots and came up with the technique I described last week on the racetrack photo shoot. 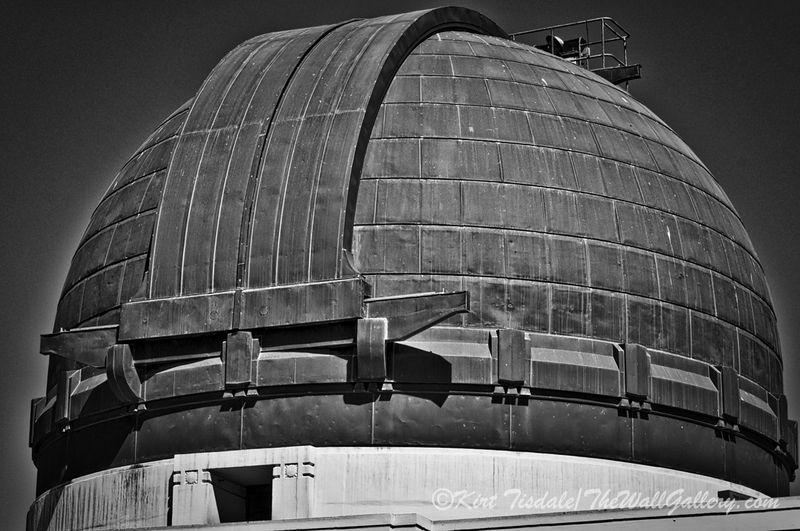 Those shots were a result of me finalizing the technique on the observatory photographs. I have attached the six art prints that resulted from that conversation. The client ended up buying three of them from a private gallery I set up for them. I wanted to share them, as they aren’t available yet to the public. I’d be curious which one is your favorite and what your thoughts are around this black and white look with this type of building. 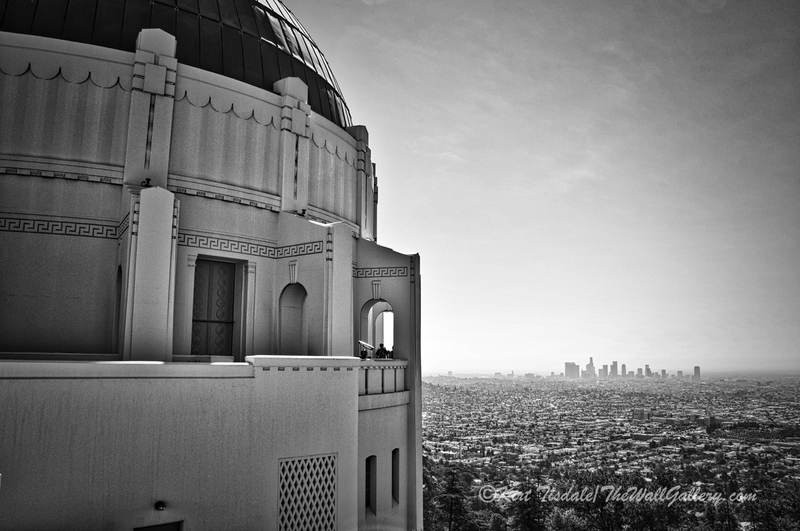 This entry was posted in Art Prints, Black and White Photography and tagged black and white photography, griffith park, griffith park observatory, interior design, kirt tisdale, landmark, los angeles, photographer, photography on January 24, 2015 by Kirt D Tisdale. “Purple Sailboat” is an art print I am featuring from my Lighthouse/Nautical Gallery. The print is done using a subtle watercolor technique of a sailboat. This style creates a soft whimsical look not getting lost in the detail, but creating the concept of a sailboat gliding across the water on a warm summer afternoon. To further enhance the look and feel of the scene, I went with a soft purple to compliment the blue and green hues of the surrounding landscape and lake. The overall look is warm and relaxing with just a touch of fun. The setting for this particular print could be any lake or shoreline, but is in fact Lake Union in Seattle, Washington and it is a warm summer afternoon. 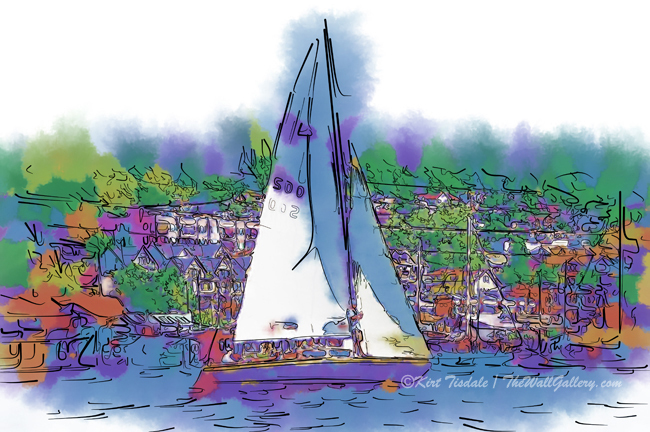 This entry was posted in Art Prints, Landscapes: Watercolor and tagged art gallery, art prints, artist kirt tisdale, interior design, Sailboat, sailing, seattle, watercolor art on January 21, 2015 by Kirt D Tisdale. 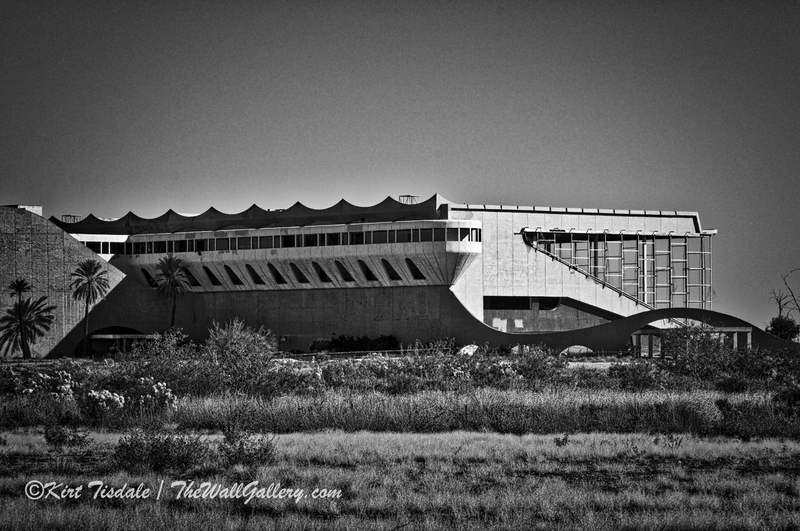 The subject matter is a horse-racing track called Phoenix Trotting Park that was built in 1964. It was open to the public in 1965 and lasted all of about two seasons. It has been sitting there ever since. The interest in the structure is the location and the look. Italian Architects who created a very futuristic look designed it. It was also built to stand the test of time. It sits alongside what is now Interstate 10 (or as we here in this part of the world call it “The 10”) and is easily identifiable to all those who travel “The 10” between Phoenix and Southern California. We started making the drive over here from San Diego on a semi annual basis when my wife’s Dad and his wife retired to the Phoenix area. 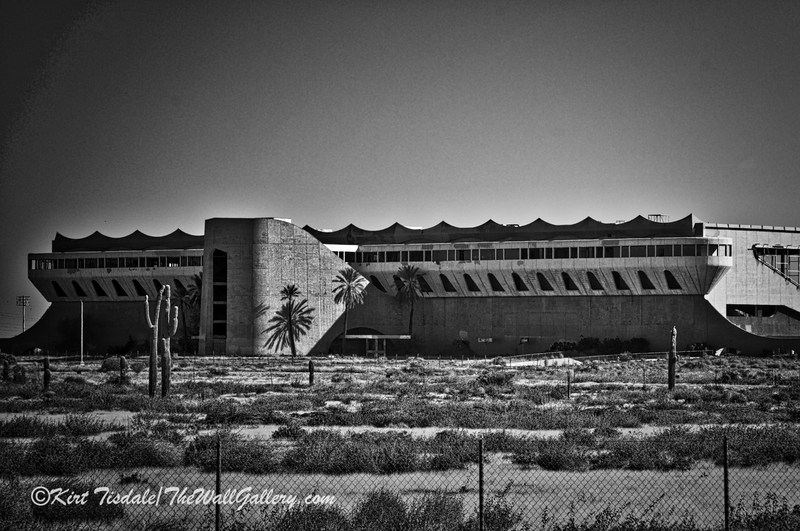 From our perspective driving into Phoenix, this building sat out in the middle of nowhere in the desert all by itself. 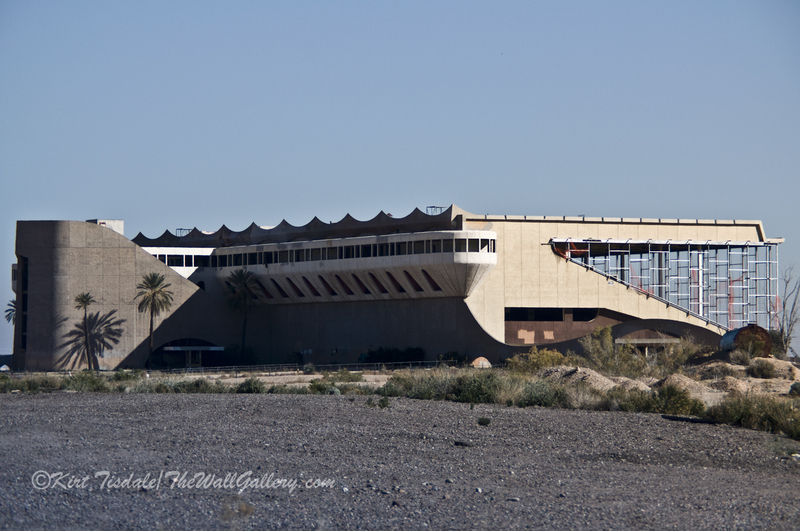 I can’t tell you how weird it is to be driving in the desert for hours and then all of a sudden this building appears. When it was built, there wasn’t any freeway nearby….access from Phoenix (which was 20 miles further east) was by dirt road. The city has now grown out towards the building and around it. Over the last 10-15 years, we watched more and more homes, stores and office buildings being built and then suddenly the freeway became much wider. In the last few years another major freeway interchange was built right by the horse-track. Yet, through all of this, the structure still sits on a large parcel of desert land all by itself. In person you see the city all around it, but in the photographs it looks like it has for all those years…in the middle of nowhere. As you can image, it is fenced off and no trespassing signs are everywhere. What has changed, though, is a lot of the roadwork around it because of the new freeway interchange is now open allowing a little closer access on side streets. Since, I’m not one to pull over on a major freeway with 4 lanes of traffic going by at 80 mph (yes, there are a lot of Southern California transplants here and we never have gotten our heads around speed limits). So all of that said….I got some good shots and have been playing with them to create the look I have always envisioned in my head to compliment the look and feel of a futuristic “60’s building. To me, that was going black and white. But I wanted to take it a little further using different techniques I have used in the past on some projects I have done for clients. The final look creates an edgy/grainy look to the shot making it look old and retro. I do this through a series of adjustments to the original capture. With the original picture, I convert it to black and white, and since I shoot in RAW format, I up the contrast, blacks and clarity creating that edgy look. This part is a lot of trial and error getting a balance to the contrast and details that I like. I then add some lighting filters and texture in Photoshop to create the grainy look. In my opinion the end result has a retro “film” look. 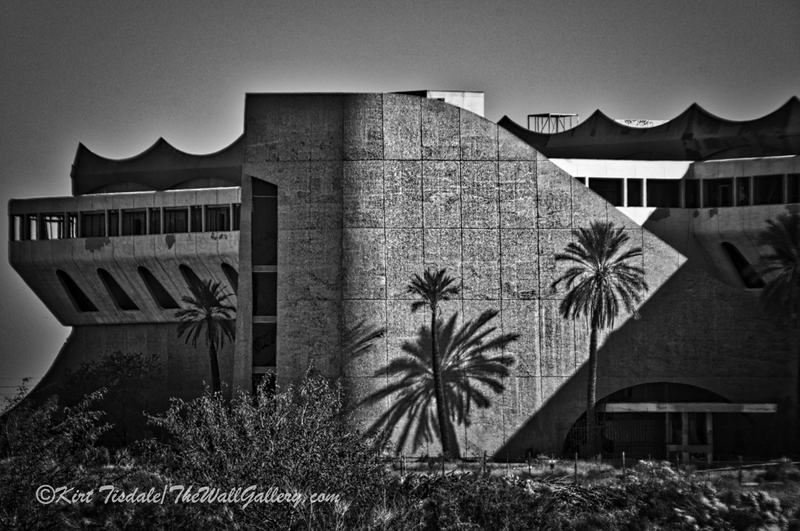 This entry was posted in Art Prints, Black and White Photography, Color Photography and tagged arizona, goodyear, historic building, horse racing, kirt tisdale, online art gallery, phoenix, photographer, photography, trotting park phoenix on January 16, 2015 by Kirt D Tisdale. I feel honored to have been nominated for the One Lovely Blog Award by Suzanne Leist of susanneleist.wordpress. She is a great author and “one lovely blogger”. I try and stay away from the award stuff, but I appreciate the fact that Suzanne took the time to include my blog in the list of nominees. Thank you Suzanne!! Please check out her blog!! I was born in Iowa and lived there through college. Moved to Denver, then San Diego, Seattle and now the Phoenix area. I have been married for 40 years and we have raised three incredible girls. No grandchildren as of yet. I spent my corporate career in Commercial Banking for a large domestically based international bank. I have been working on photography and art since college and now pursue that endeavor full-time. I love…did I say…”love”…to hike…woods…desert…doesn’t matter…just get me out on a trail. I am a very spiritual person and feel blessed for the gifts I have been given. 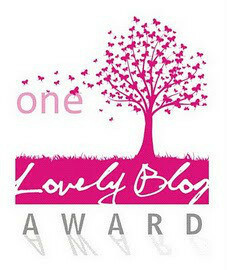 I will now announce the list of bloggers (in no particular order) who deserve the “One Lovely Blog Award”. I enjoy reading their posts and I hope they continue with their wonderful work. Please check out their blogs if you’re not already familiar with them. 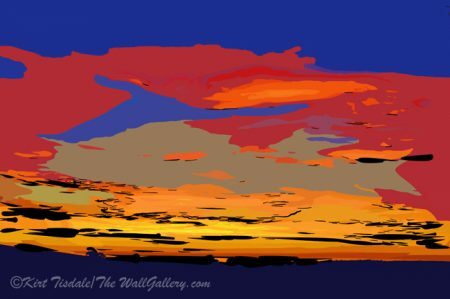 This entry was posted in Art, Art Prints and tagged art gallery, artist kirt tisdale, awards, blogger awards, interior design, online art gallery, photographer, photography on January 14, 2015 by Kirt D Tisdale. 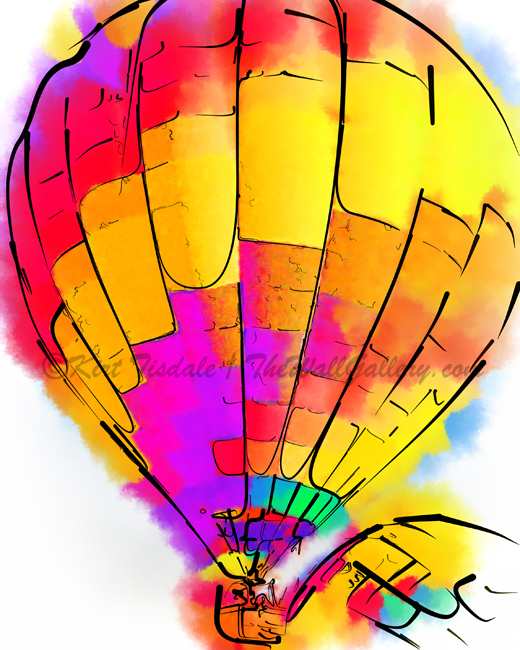 “The Yellow and Red Balloon” is an art print I wanted to feature from my Hot Air Balloon Gallery. The print is done using a subtle watercolor technique of a yellow and red hot air balloon. The technique focuses on the bright colors of hot air balloons and uses bold lines to draw the subject matter, giving it an almost abstract look. Hot air balloons stand out prominently with their colors against the sky. The bold reds, blues, oranges, greens and yellows take center stage. The shapes are drawn in a soft and whimsical manner, setting the visual for a hot air balloon experience. The setting for this particular print is a group of hot air balloons getting ready for their sunset ascent. The location is in San Diego County near the coast of the Pacific Ocean. San Diego is famous for its sunset rides. As the sun sets over the Pacific Ocean, the onshore flow of winds decrease allowing the balloons to drift inland and descend for a landing before it gets dark. The trip starts close to the coast and takes you inland about 15 miles. The view is incredible as you ascend over Rancho Santa Fe and quietly drift eastward. The peace and serenity of being one with the breeze is an incredible experience. For those of us that have height issues, the experience wasn’t a problem until we rose to 4000 ft above the ground. That was a bit too high for me with just a basket beneath my feet and sharing it with 10 other people, but as soon as I started processing that thought, the pilot broke open the champagne and all was well! For those of us that have lived in that area for years, we are used to seeing up to 15 balloons dot the sky just before sunset. I invite you to come into the gallery to view art prints in the collection of Hot Air Balloons. 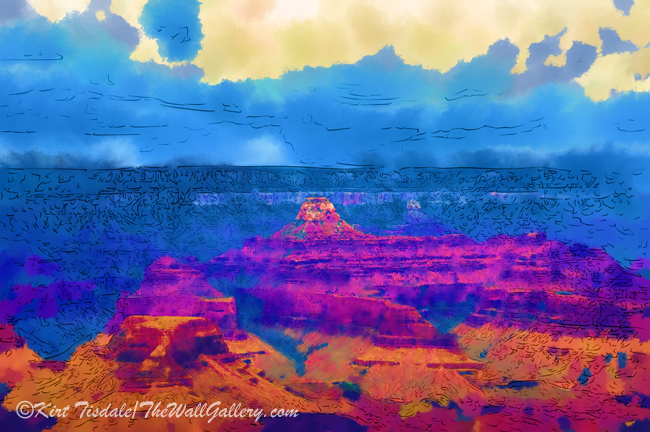 This entry was posted in Art Prints, Watercolor Painting and tagged abstract art prints, art gallery, artist kirt tisdale, hot air balloons, interior design, online art gallery, san diego, watercolor, watercolor art on January 9, 2015 by Kirt D Tisdale.